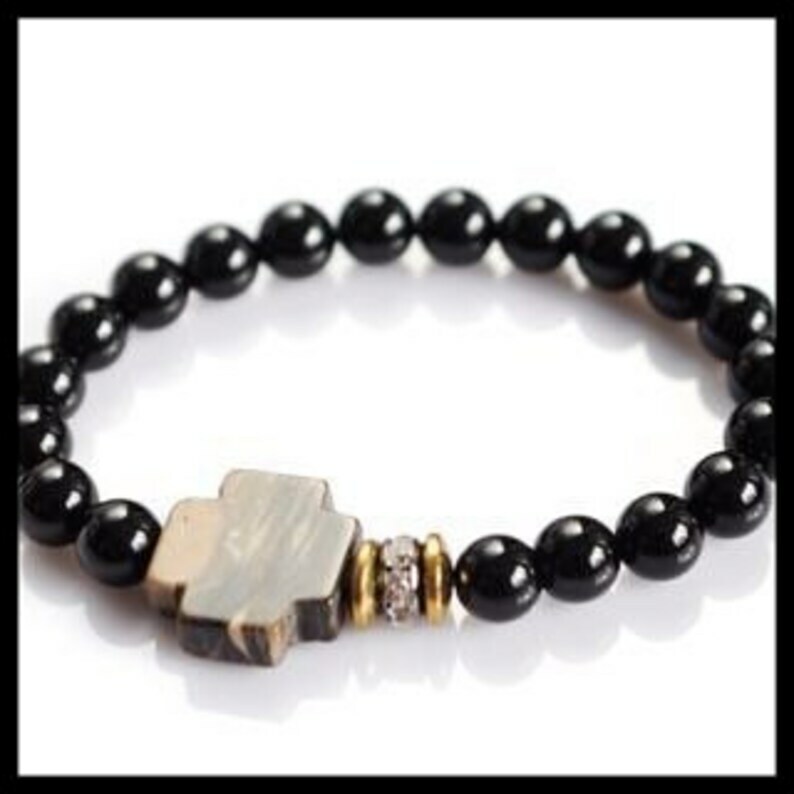 This bracelet is made with 6 mm Onyx Gemstones. Smooth round beds. Paired with a Jasper gemstone cross. The cross is approximately 3/4 x 3/4 inches. Each cross will vary in color of dark and light brown, specks or black and white. Made on stretch on clap no interruption.